I have been looking for a user-friendly way to add code snippets to Powershell ISE to reduce typos and time spent copy/pasting. Borrowing a page from Jeffery Hicks' blog, I took it a step further and used multi-line comments to add large code snippets to the ISE for creating new scripts. 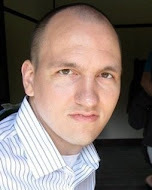 As an example, I often write scripts that take advantage of the Quest ActiveRoles AD Management snapin. The code below allows me to use ALT + F5 as a hotkey to insert this code into the ISE quickly and easily. To implement this into the ISE, you will need to modify/create your Powershell ISE profile. To find your user profile, you will need to browse to C:\Users\%USERNAME%\Documents\WindowsPowerShell\Microsoft.PowerShellISE_profile.ps1 and paste the above code into the .ps1 file. 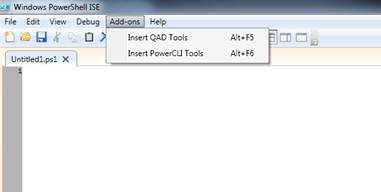 This code will also add a new menu item to the Powershell ISE named 'Add-ons' with a menu item named 'Insert QAD Tools' as shown below. I came across a scenario where I needed to get the make and model of all of the client systems in my environment for reporting. There are a few routes that I could take to retrieve this information (Inventory, WSUS, AV), and after briefly checking over each of them, it looked like WSUS was kept the most up-to-date for my purposes. At the beginning of the script, we set some variables to determine the WSUS server that we will be connecting to and the location where we want to output the results. We then load the assemblies for WSUS and connect to the server. Once connected to the server, we need to create a computer target scope and then query a list of all computers in that scope. Now that we have a list of computer objects in the $Computers variable, we want to sort the objects based on the computer model, select the properties we want to report on, and export them to the CSV that was specified in the $Results variable at the beginning. Now you have a CSV with a list of all of the computers in your environment (that report to that particular WSUS server) and their IP address, make, and model. Happy reporting! I was watching the TechEd video The Network Files, Case #53: Diagnosing Diseases of DNS and began thinking about an easy way to troubleshoot local DNS client cache. The first command that came to mind was 'IPConfig /DisplayDNS', but it is a hassle to scroll through all of the output looking for what I wanted. I ended up writing a short script to convert the results into a Powershell object that I could then work with easily. The script begins by invoking the IPConfig command that we all know and love. A typical DNS record looks similar to the one below. Now that we have the information that we want, we need to weed out extraneous lines. The first item that I wanted to capture was the record name. The results of the Invoke-Expression are piped to the Select-String cmdlet with a pattern of "Record Name" and a context of '0,5'. This command searches every line from the pipeline that matches the pattern, then shows zero lines before the match and five afterwards. We now have a group of objects from the pipeline with the information that we want, we can loop through them and create some Powershell objects. This is done with the use of the ForEach (%) alias, New-Object PSObject and property splatting. For the record name property, I can take the match of the Select-String, split it between the colon and set the property 'Name' to the item after the colon. For the rest of the properties, the script has to pull the information from the postcontext of the match, which is then split and the property assigned to the items after the colon. Once each of the objects is created, it is added to the $DNSCache array that we created on the first line of the function. The function then returns that array as a Powershell object that can be filtered, sorted and otherwise modified. An example that could be used is shown below. As I believe most Powershell users can attest in regards to work, "I've got 99 problems, but Powershell's not one." More verbose info when executing task sequences. From what I have seen so far, there is not much reason to upgrade unless you are planning to implement SCCM 2012. The rest of the items seem like nice-to-haves rather than needs or feature sets.